Desktop Metal, Inc., founded in 2015, is a metal 3D printing manufacturer based in Burlington, Massachusetts. With the development of metal 3D printers, they have changed the way parts are getting to market – cheaper, faster, safer and better. 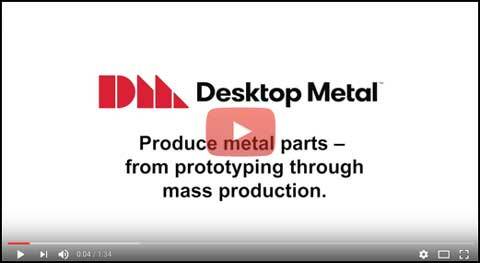 Their DM Studio and DM Production systems allow engineering and manufacturing groups to produce metal parts – from prototyping through mass production. For more information, or to reserve a system email us or call at 763.476.8600.